Jai Ho Opening Day Collections : Expectations FulFilled ! Jai Ho 1st Day Collections were good and aligned with the movie’s title Jai Ho. The much hyped and anticipated Salman Khan’s flick after Dhoom 3 was speculated on different levels of box office collections. Since, Salman Khan is coming after a long time on silver screen, expectations are bound to be huge. Salman Khan’s long wait seems to be paid off as the movie is set for a bumper opening at Box Office. Advance Booking reports has been tremendous.In some centers like Delhi, Mumbai and Uttar Pradesh all the first day shows are already Houseful. Even though Jai Ho is a non holiday release, an occupancy of around 90% to 100% was expected on the opening day. Jai Ho was expected to start on a very much expected day one. 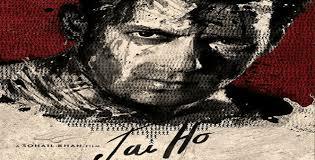 As expected Jai Ho was able to rake in around 17.5 Crores on the very first day.